Israel, Palestine, Pinochet… and a Soccer Jersey? 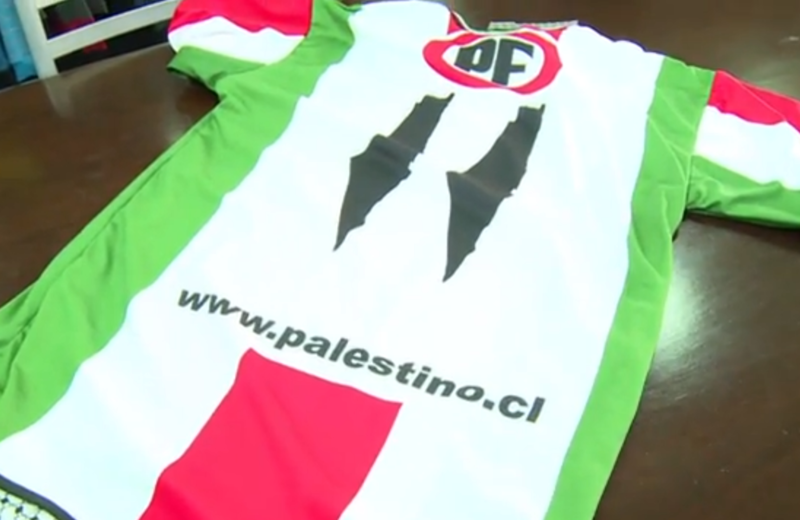 The new jerseys on the Chilean team Palestino have become a political sports controversy that is rocking the nation. A new sports uniform has been accused of “fomenting terrorism” as well as inspiring “violence and hatred” and no, it’s not the Knicks’ hateful new bright orange duds. 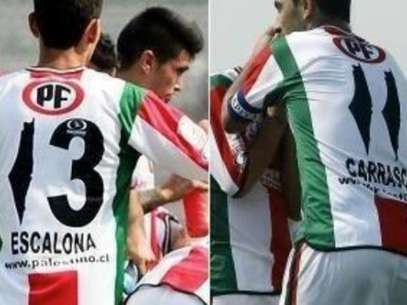 The accused team is a Chilean soccer club called Palestino ( Club Deportivo Palestino) and their offense was incorporating an image of historic Palestine on their jerseys. The controversy is, on the face, bizarre. The Seattle Seahawks have a picture of a bird on their helmets. The Denver Broncos have a horse. Of course, Palestino, an esteemed first-division club that has been around for almost a century, would picture Palestine. But, alas, in this day and age when Israel, the Gaza Strip and the West Bank are divided by a crisscross of concrete barriers, barbed wire fences and armed check points, the vision of an undivided country provokes rage among those who have a vested interest in walls. To understand the controversy engulfing the Santiago-based soccer club, it is first worth knowing that there is no country in the Western world with a closer connection to the Palestinian territories than Chile. With over half a million residents of Palestinian origin, Chile was the primary destination for those fleeing the Middle East both before and during the wars that surrounded the founding of the state of Israel in 1948. Over the last ninety-four years, Palestino has represented the Palestinian national colors, held moments of silence during periods when the Gaza Strip was being bombed and engaged in numerous charitable efforts to alleviate the suffering of refugees. It is a team that has consciously positioned themselves over the years as a symbol of historic remembrance. In line with this history, they changed the number 1 on their uniforms to look like the shape of historic Palestine and the uniting of the current Israeli and Palestinian territories. It is for this that the team was charged by the Simon Wiesenthal Center with “fomenting terrorist intent.” Gabriel Zaliasnik, the former president of the Chilean Jewish Organization, said that the shirt incites “violence and hatred” and has pledged go to FIFA to get them banned. Bishara is not alone. Many Chilean players of Palestinian origin have played for the Palestinian National Team and are taking this opportunity to come forward and speak about why the shirts are not only appropriate but also admirable. The gesture of Club Deportivo Palestino putting on its shirt the map of the country from which they come, and whose colors they defend, can only annoy those who want to appropriate the territory by force, without respecting the freedom of the people. Peace must be based on justice…. Sports, arts, culture and science are not oblivious to the reality of the people; on the contrary, they are the expression of the feelings and historical experiences of them. Therefore, Club Deportivo Palestino interprets the most sensitive feelings of the Palestinians and all who raise the banner of justice, peace and freedom…. I give my sincere congratulations and support to the club’s leadership and call sports fans to support this noble initiative. This is really less a fight about shirts than about memory. It is about the memory of who stood and who did not stand with Chile in their darkest moments. It is also about an aspiration among masses of Palestinian-Chileans that is not rooted in hate but in the dream that a land defined by walls could be one united country with equal rights for all. The question is less about the appropriateness of a shirt and more about why anyone would find that idea threatening.